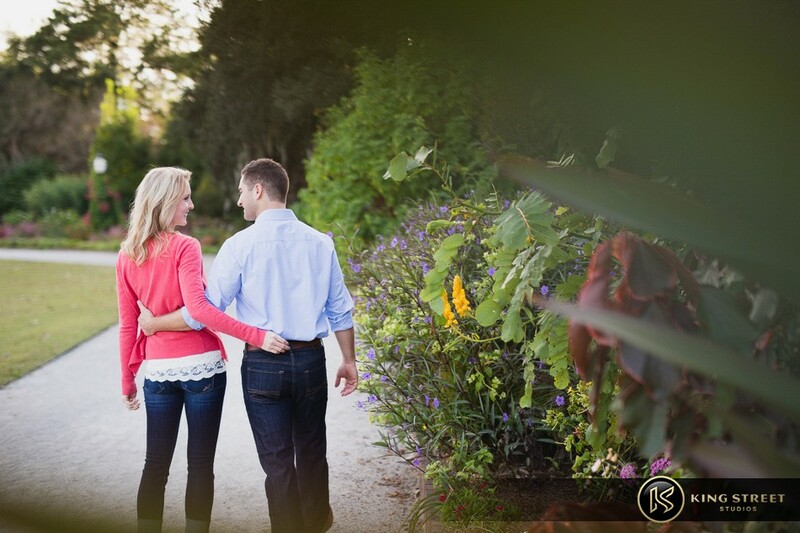 When Adrienne and Ben contacted us about having their wedding engagement pictures taken, we could hear in their voices how much they loved one another. 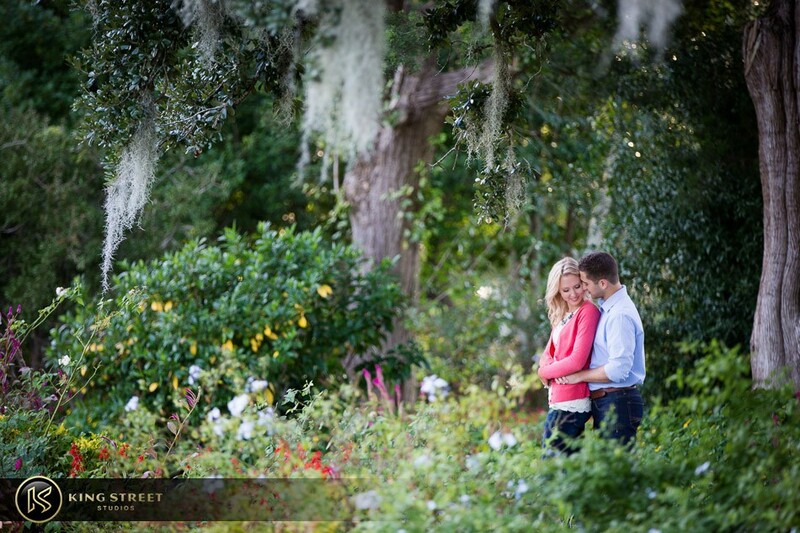 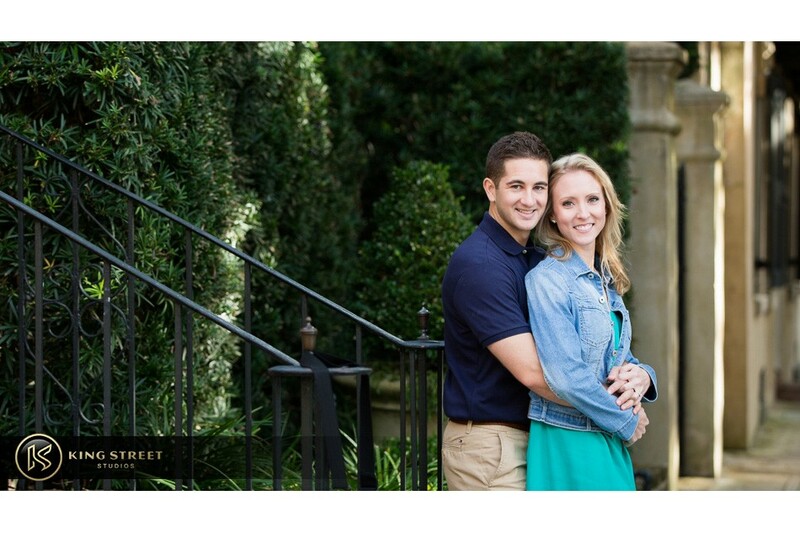 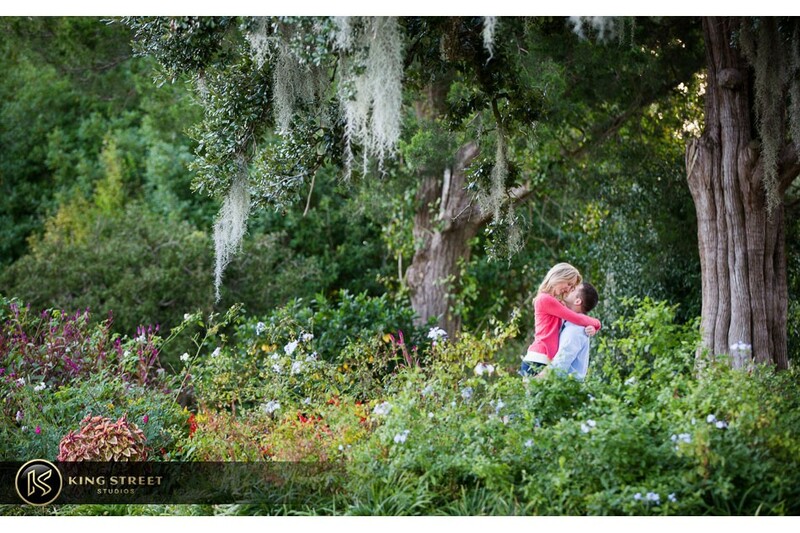 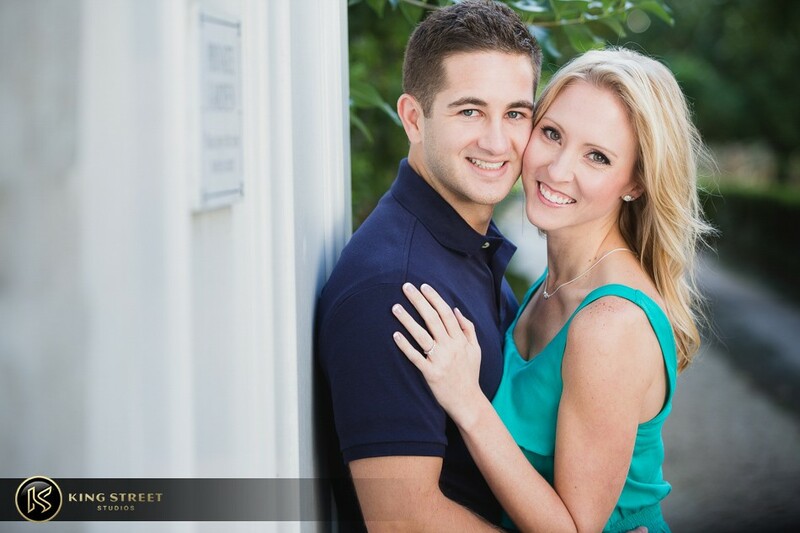 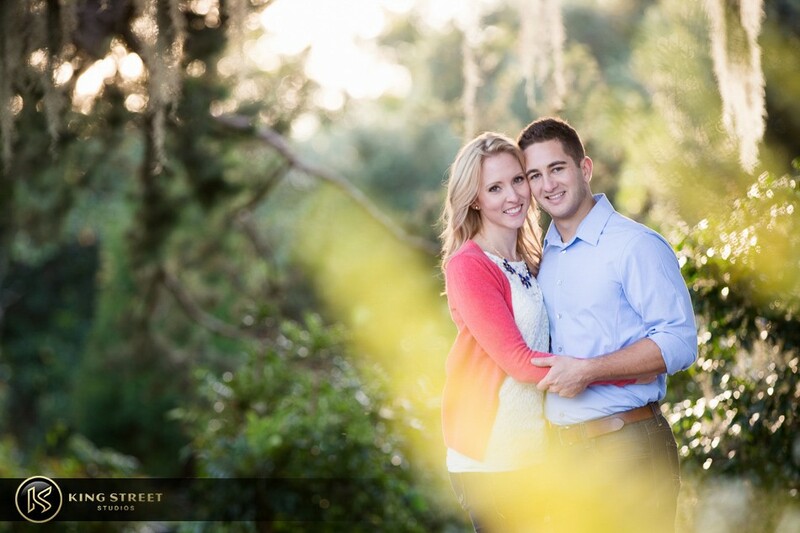 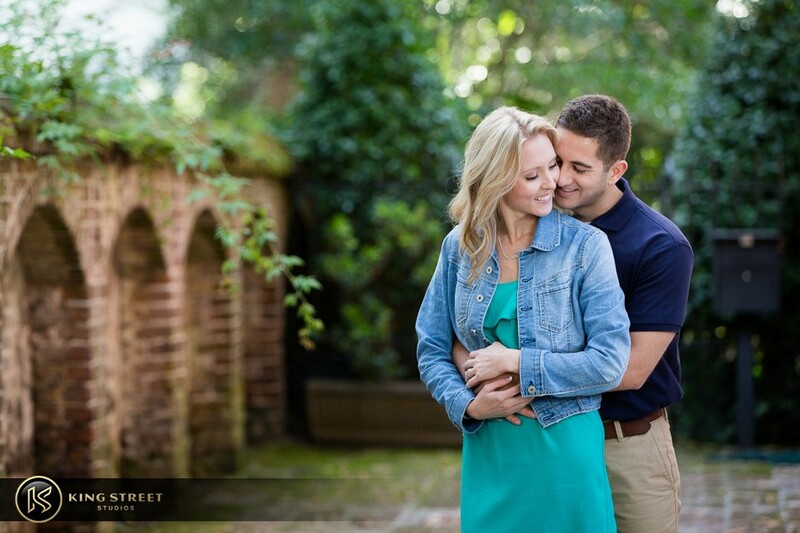 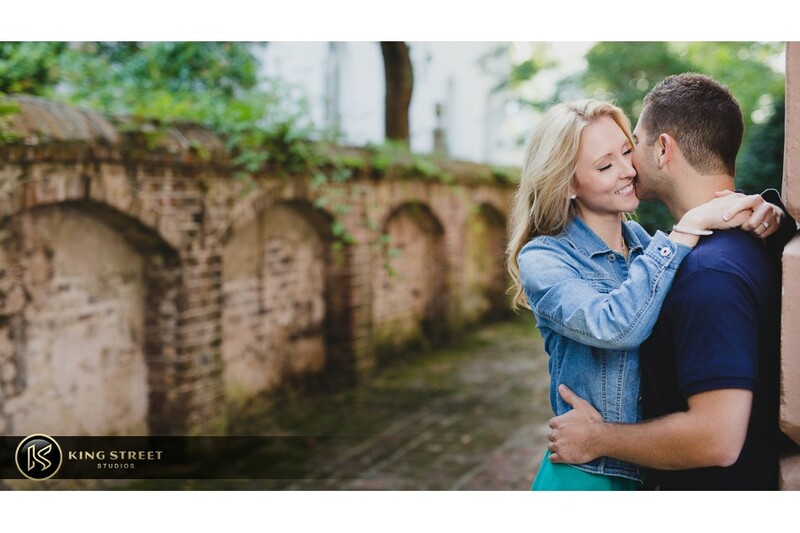 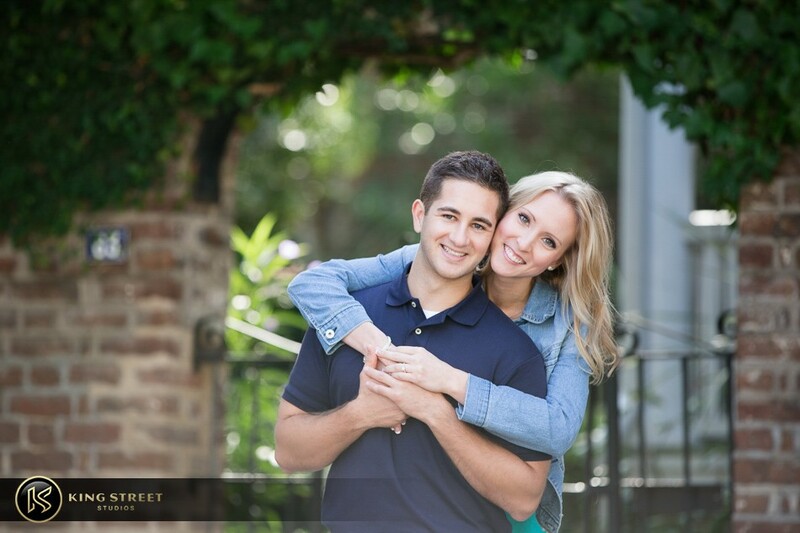 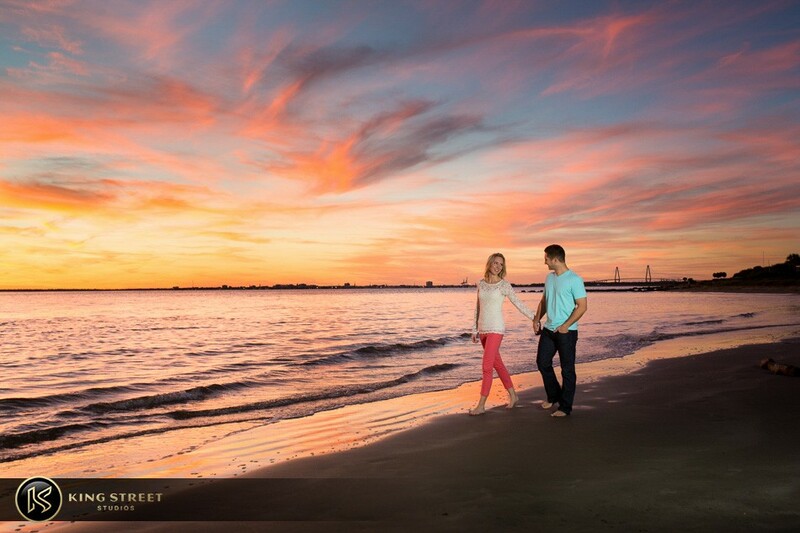 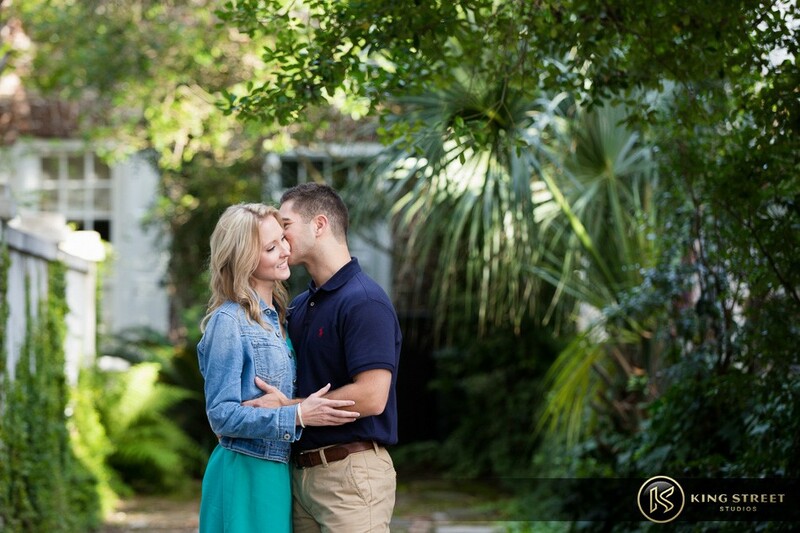 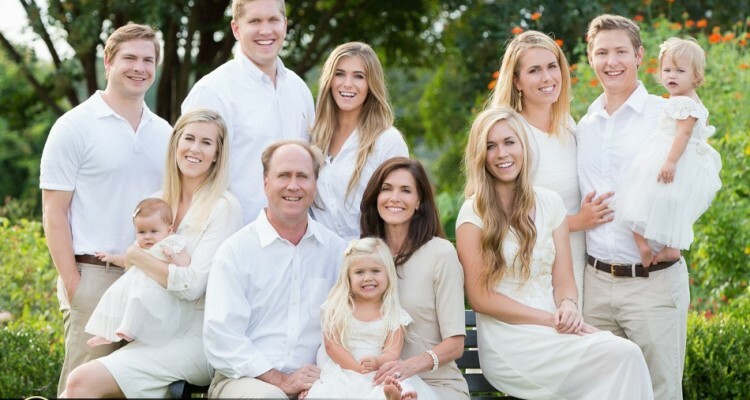 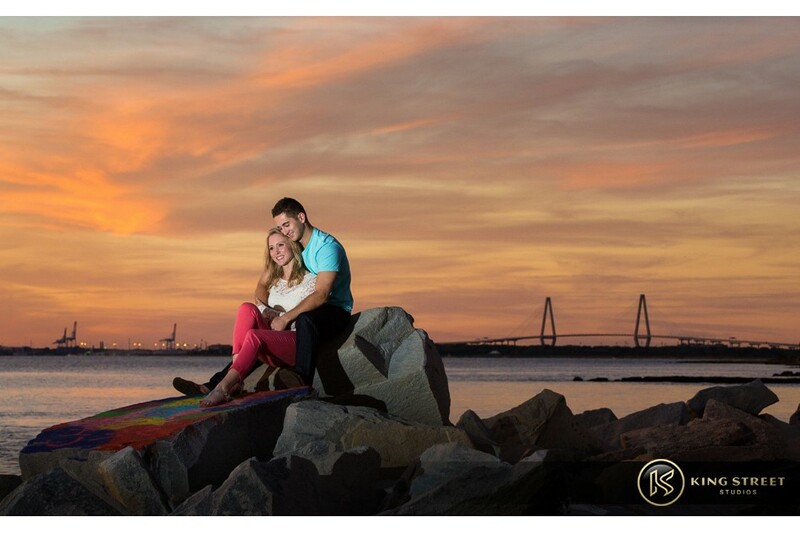 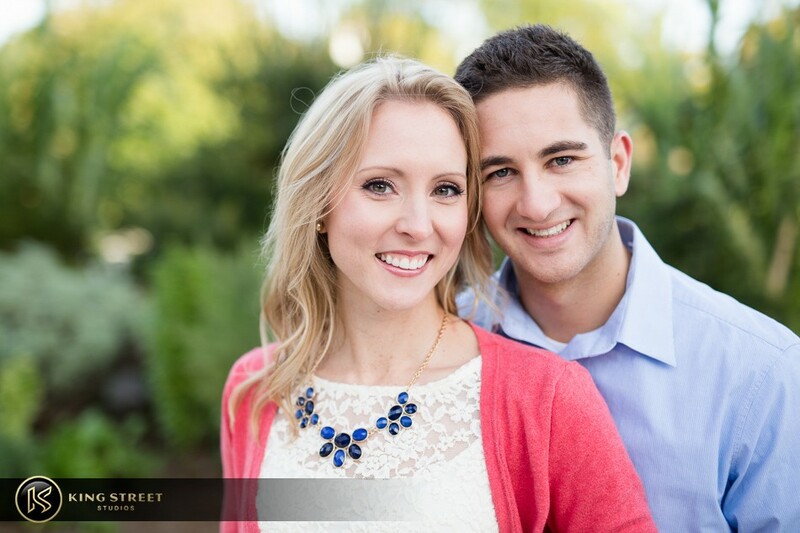 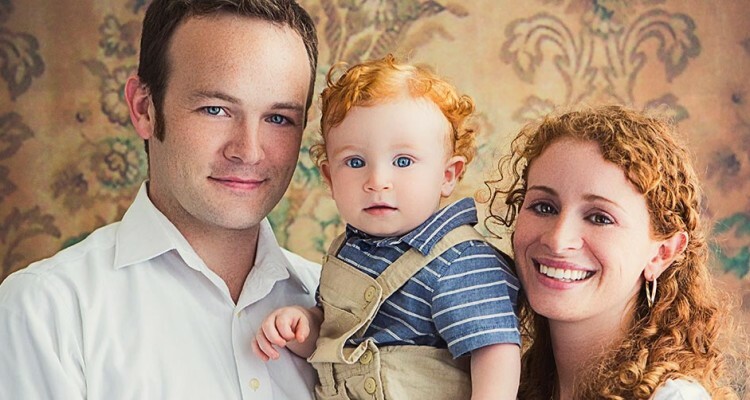 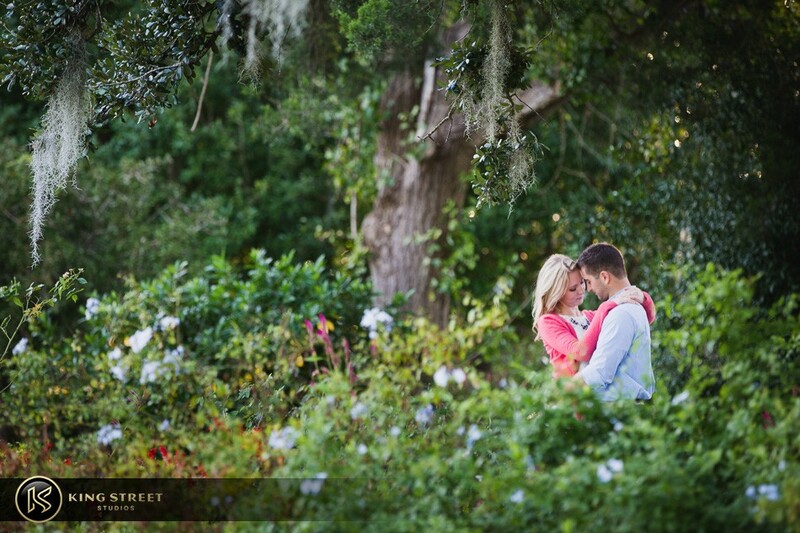 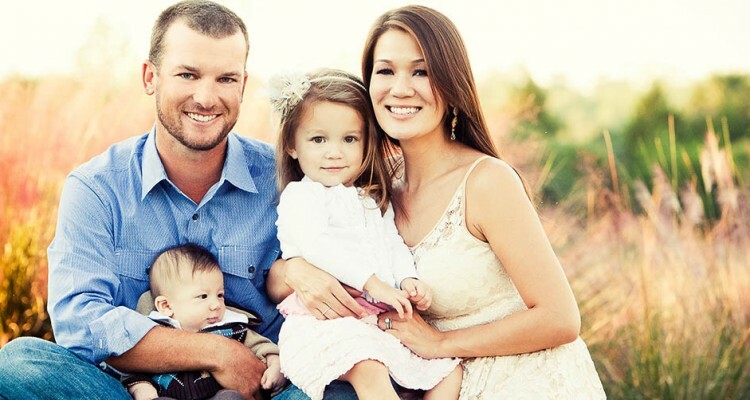 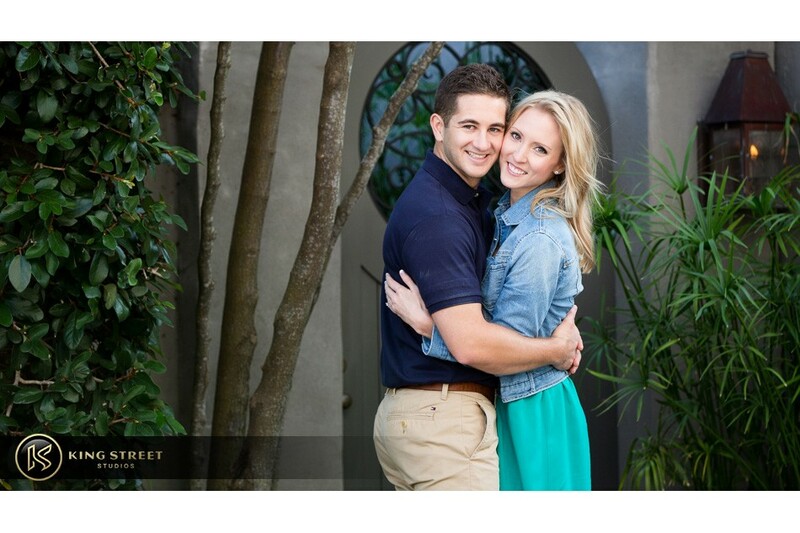 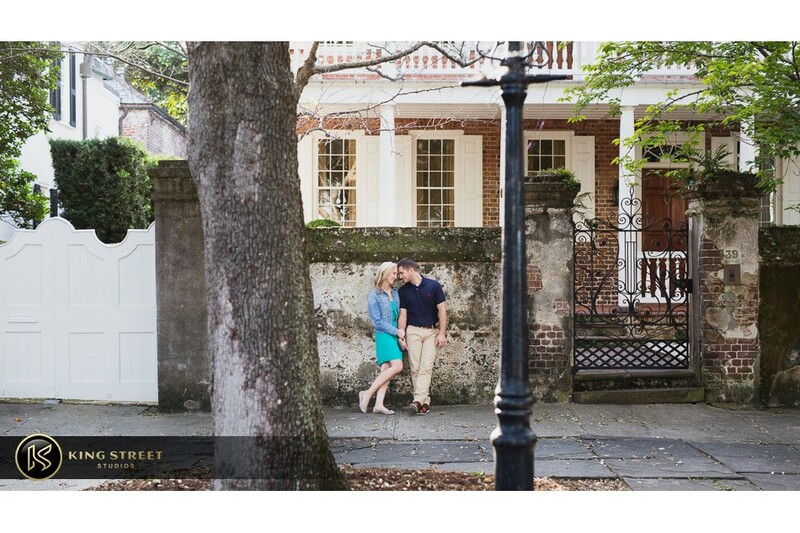 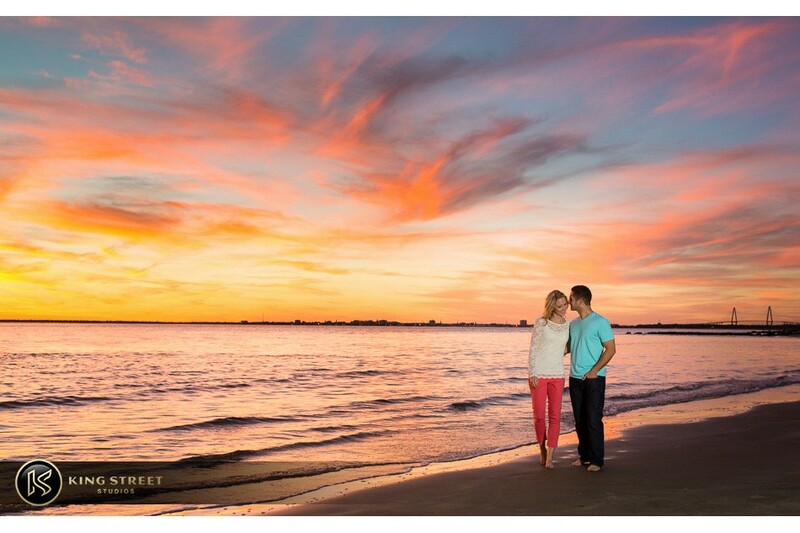 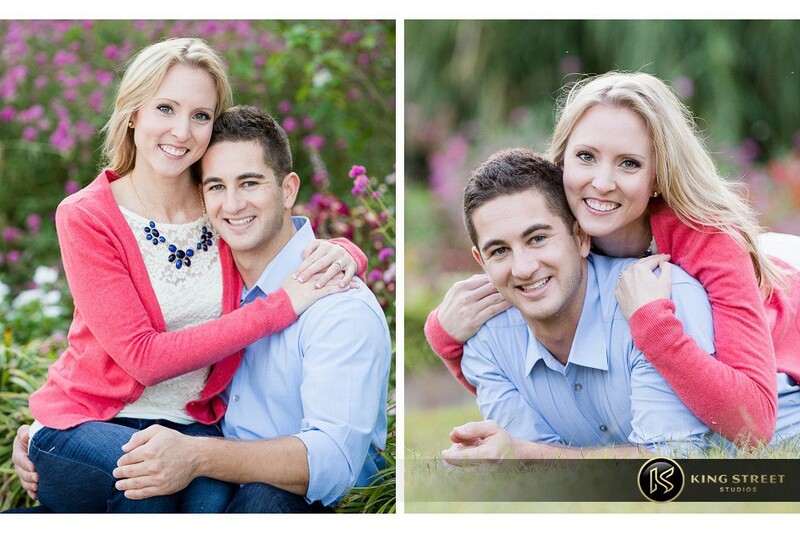 When we met them in downtown Charleston, it was reassured to us they were a matchmade in heaven. 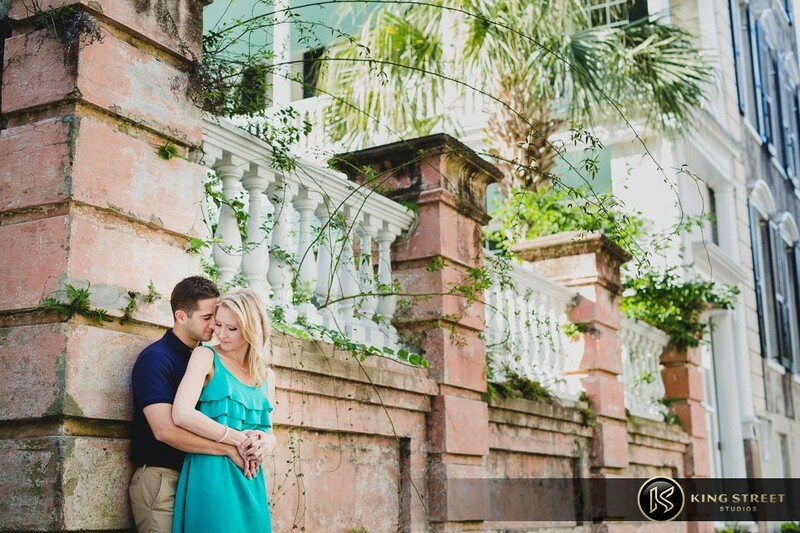 Downtown was stop one on what was a great day for a photography adventure. 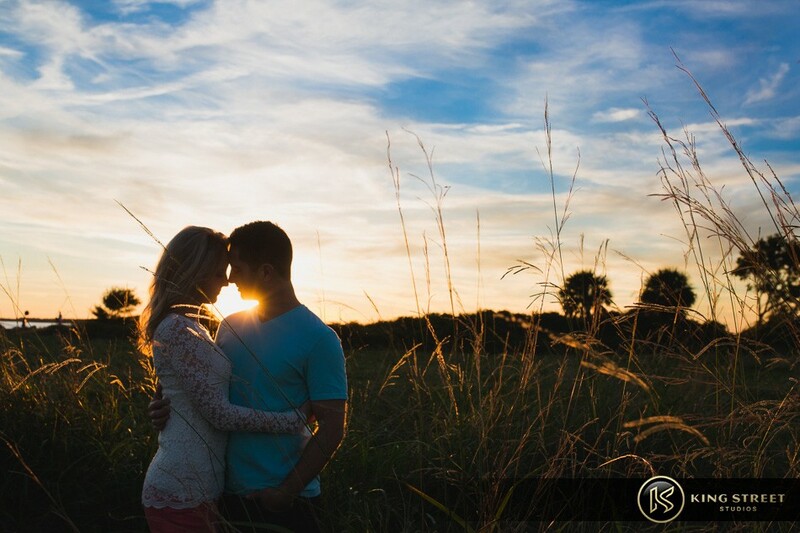 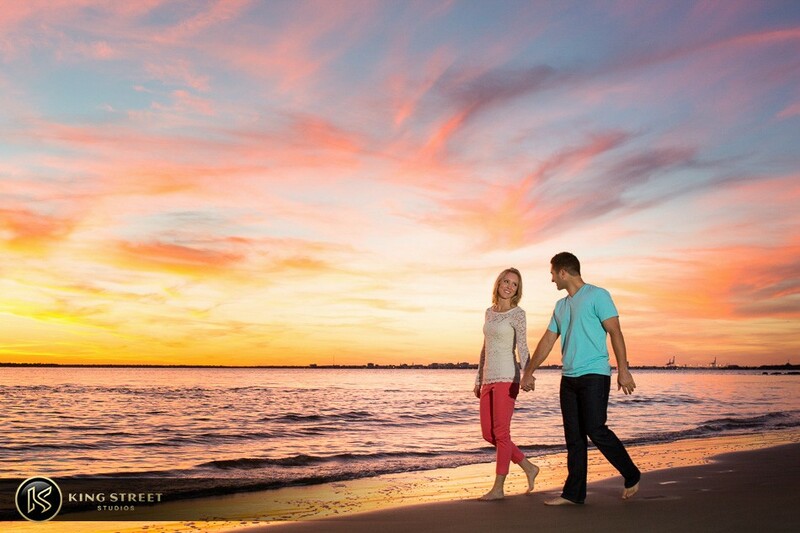 Adrienne and Ben also had their shots taken at Hampton Park, just on the outskirts of downtown, and also at Sullivan’s Island when the sun was going down. 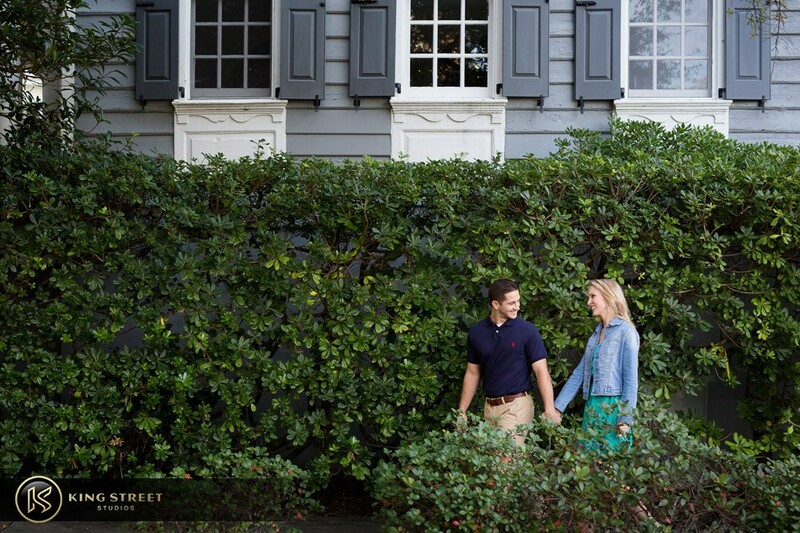 Outfits can really make or break a photograph. 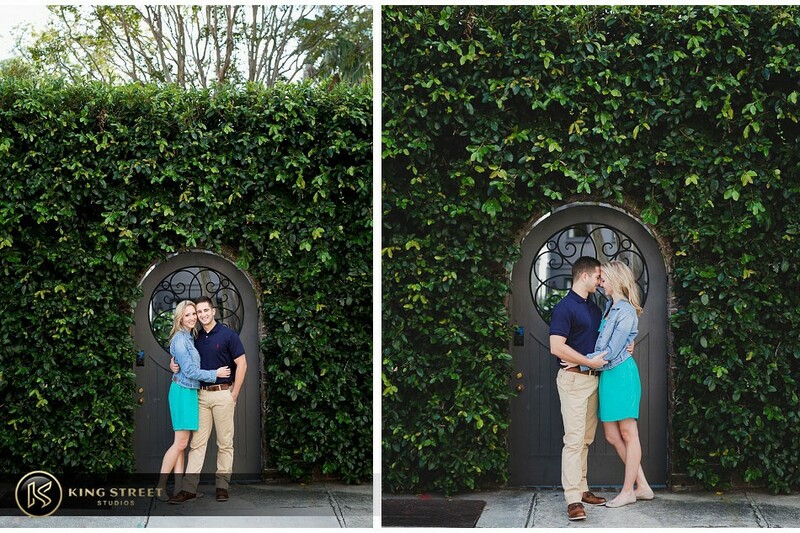 Sometimes people can have patterns that are too noisy or colors that are too bright, which lead the viewer’s eyes directly to that article of clothing (this also makes picking out a backdrop a little more challenging as well). 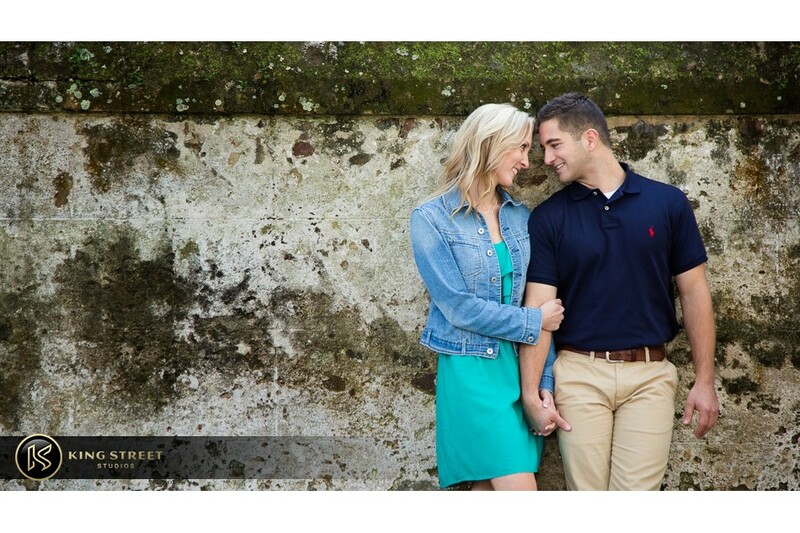 But, when colors are worn that work well with one another and don’t compete for the attention of the viewer’s eyes, such as the outfits Adrienne and Ben chose for their engagement shoot, it makes a great photograph. 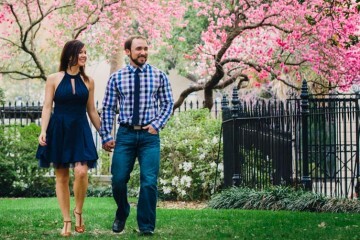 When posing Adrienne and Ben, Todd took into consideration the colors of clothing the two had chosen and placed them within a scene that complimented both of their outfits. 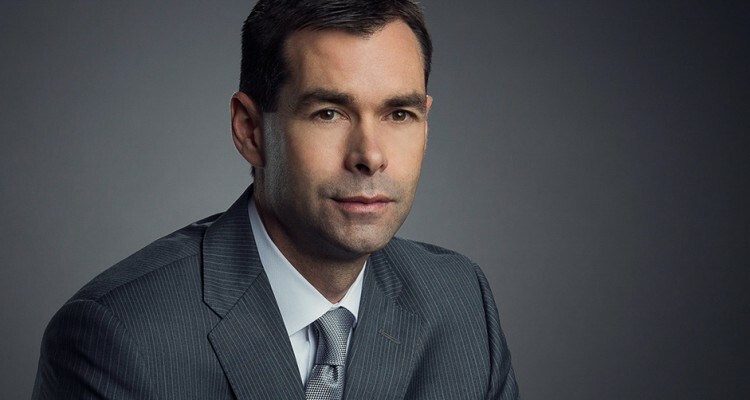 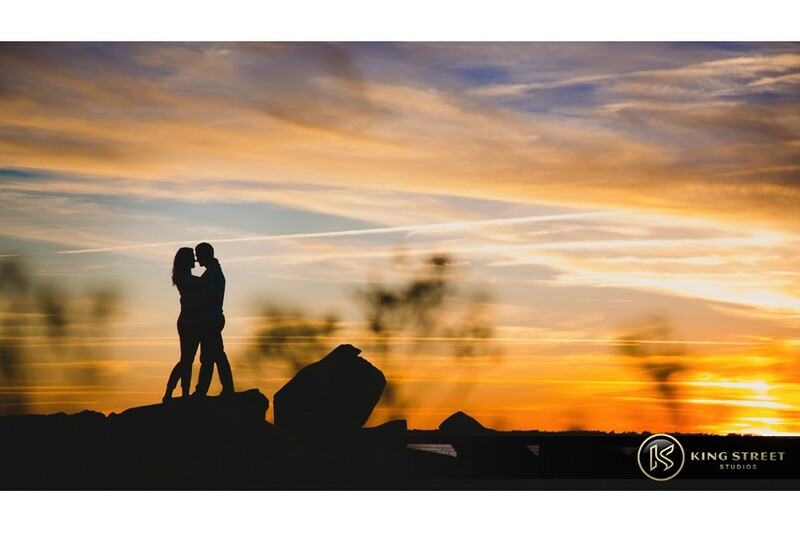 Often times we have photo shoots where our clients complain about how they’re going to have a hard time picking out their photos upon reviewing them (not a bad complaint if we do say so ourselves!). 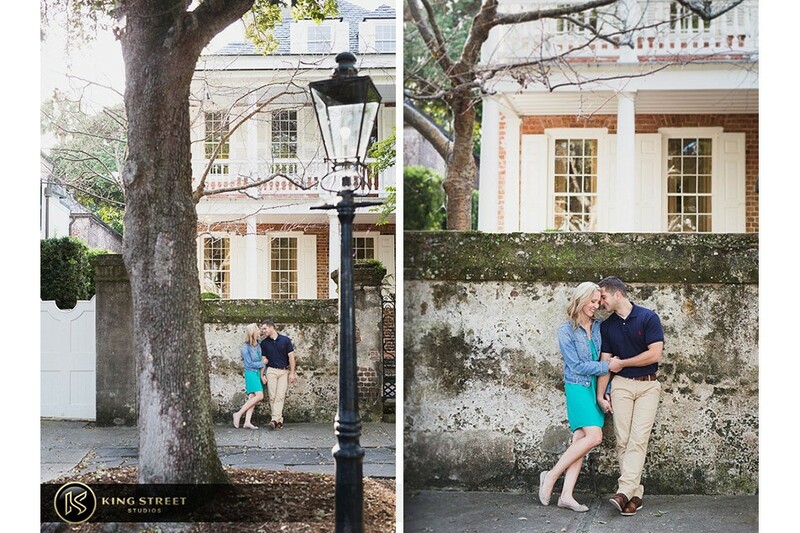 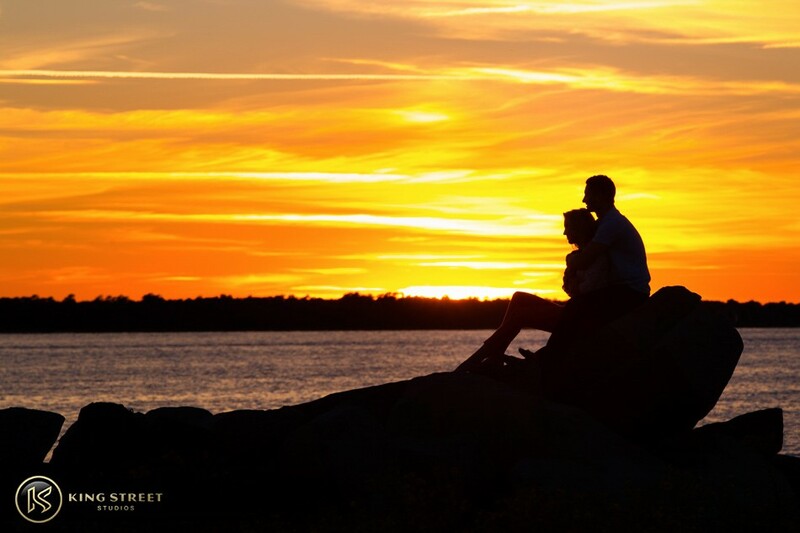 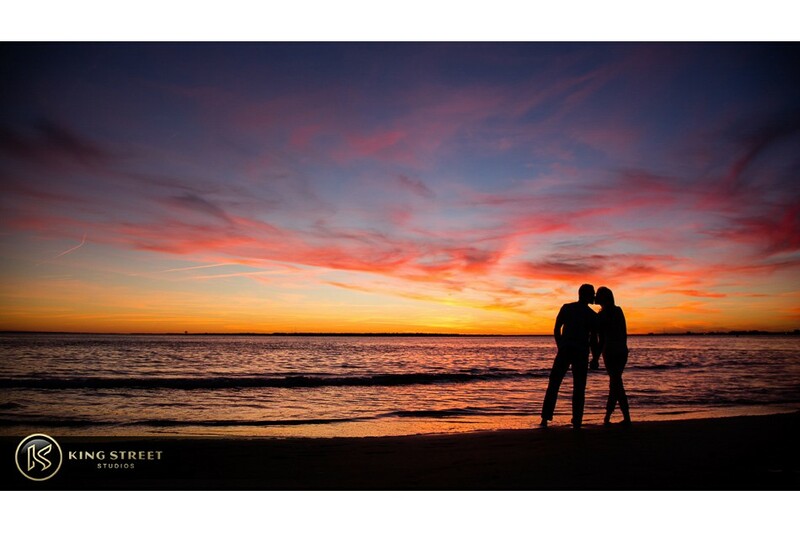 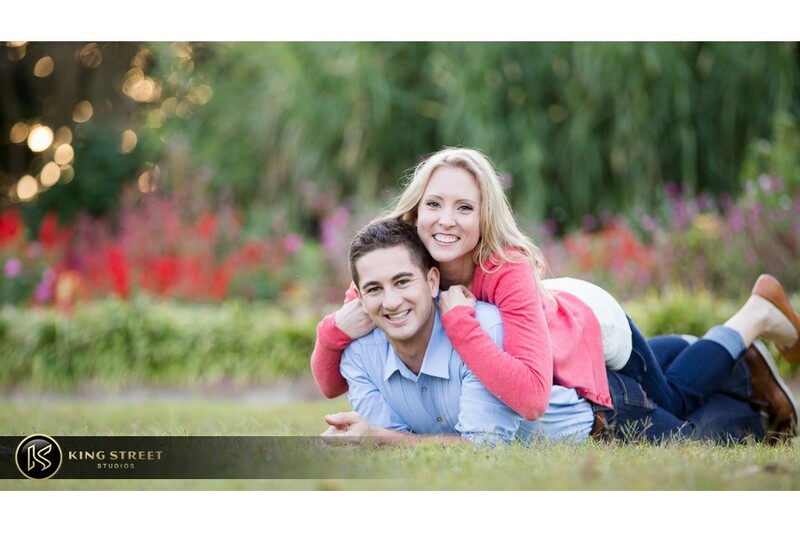 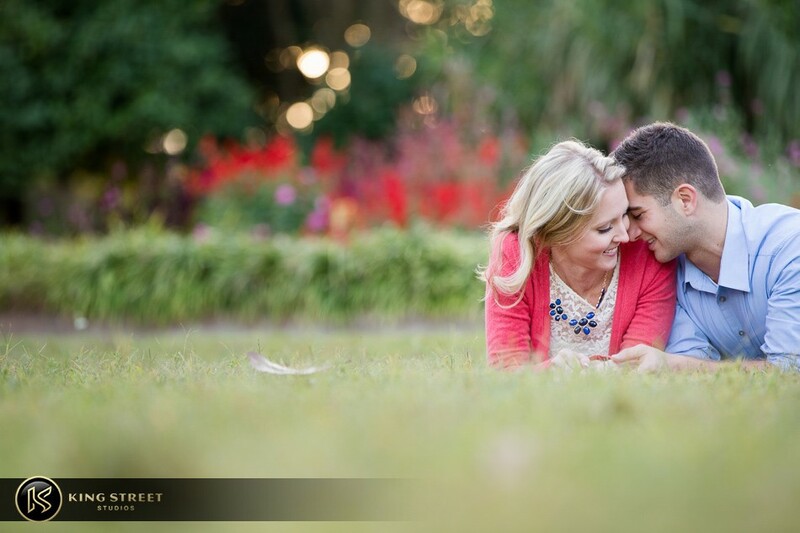 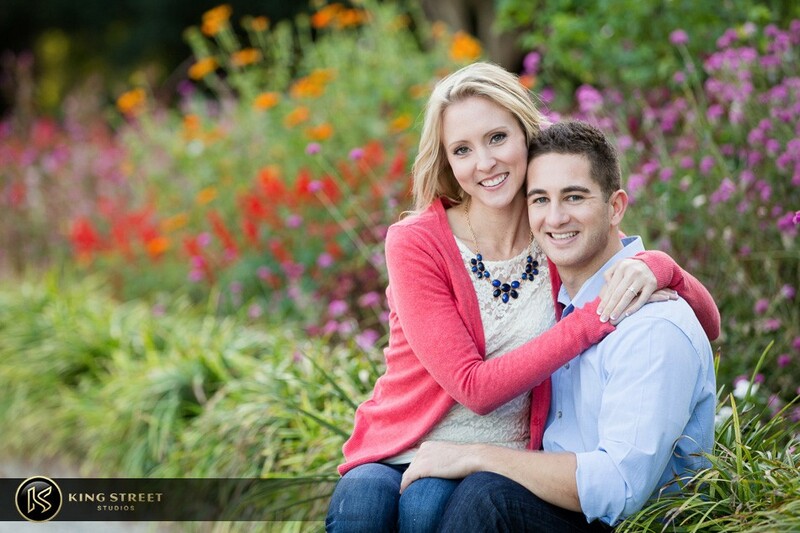 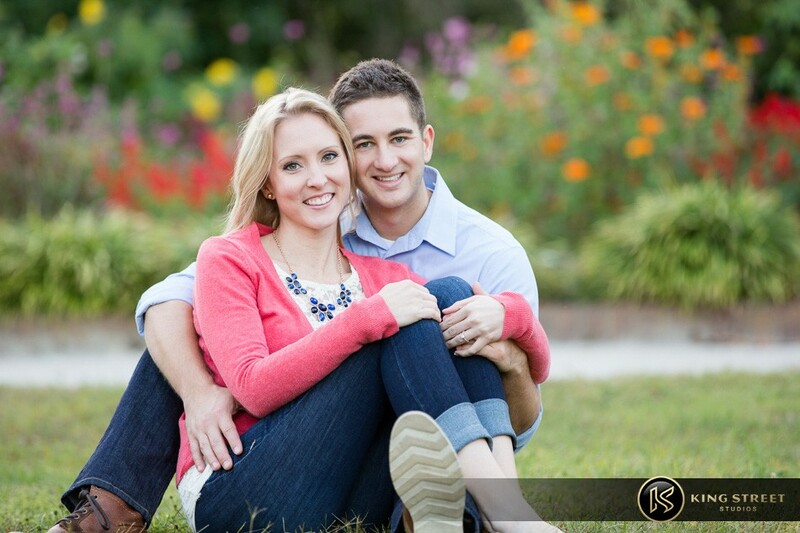 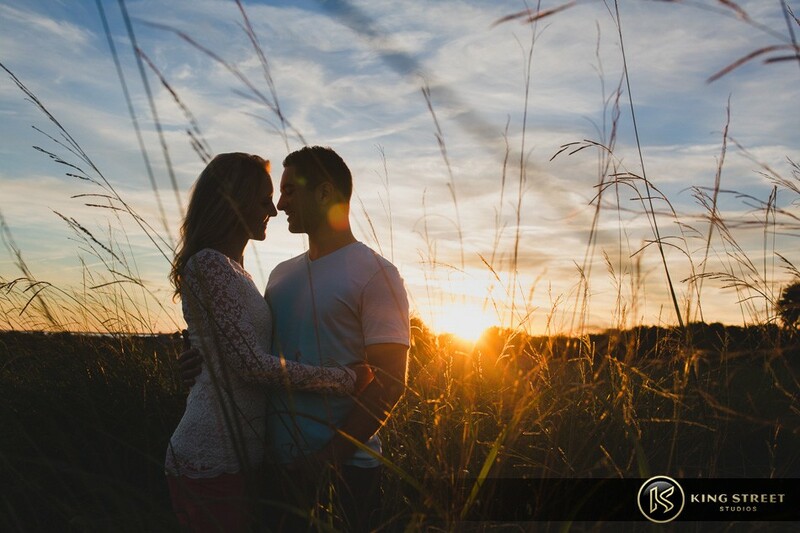 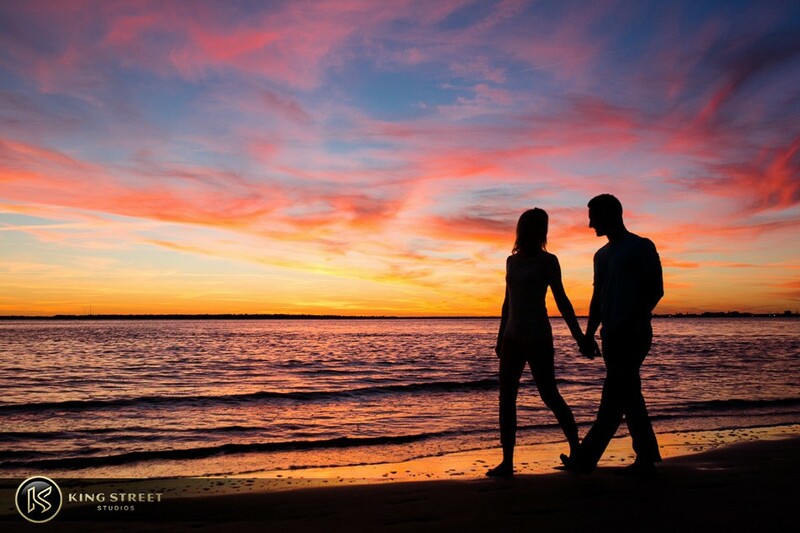 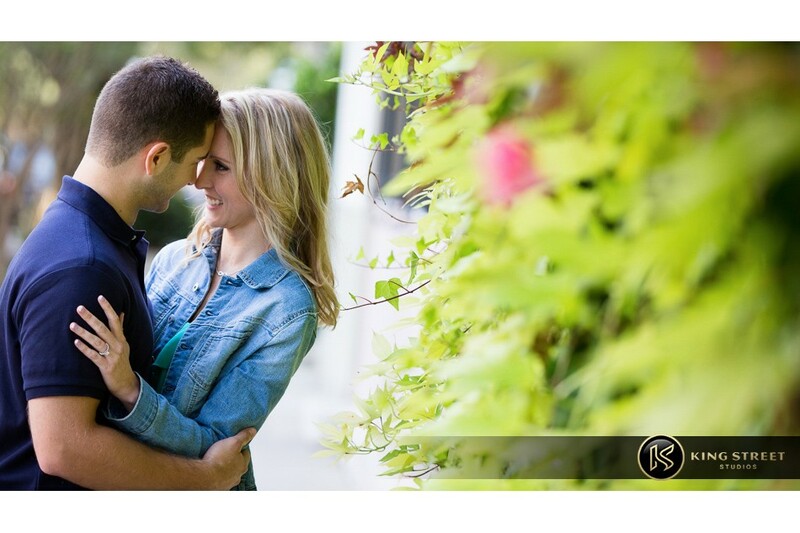 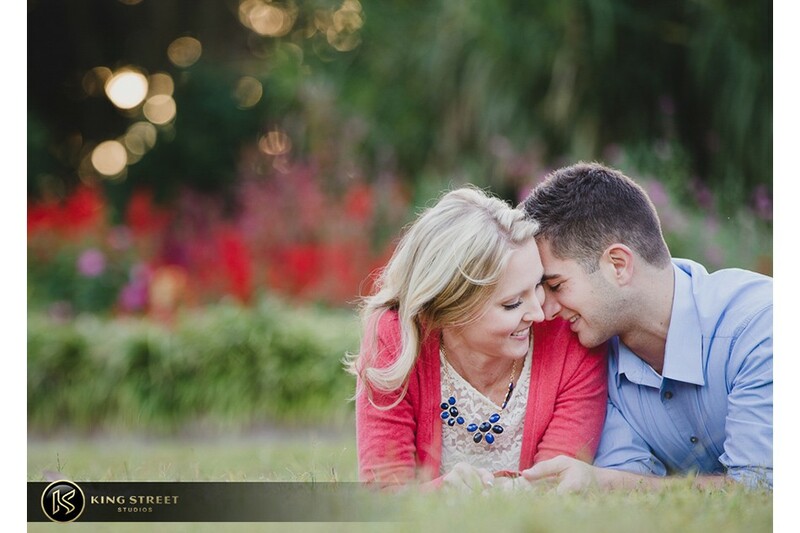 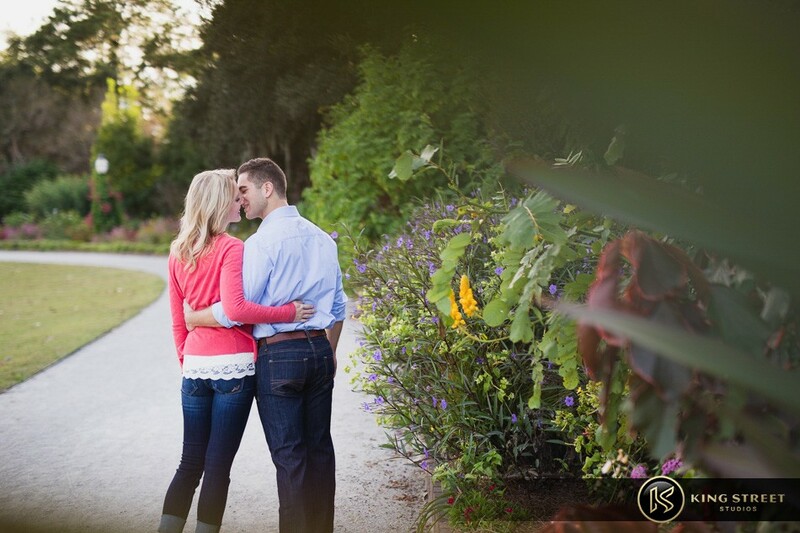 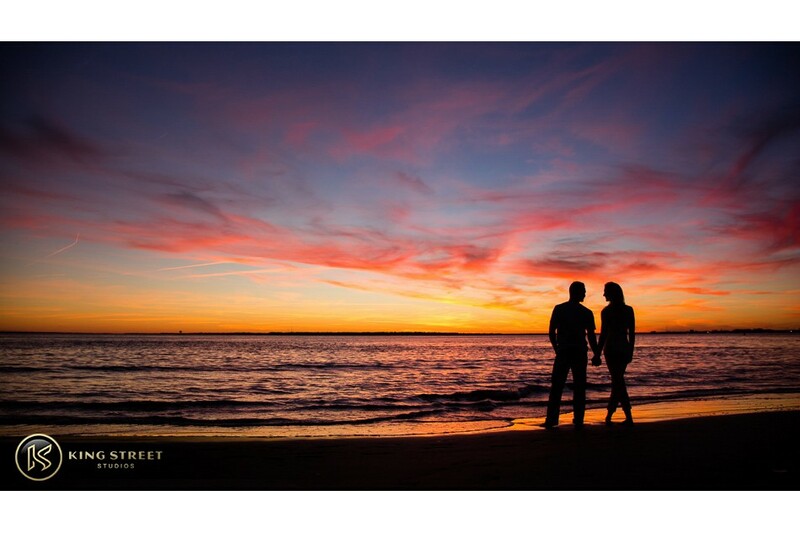 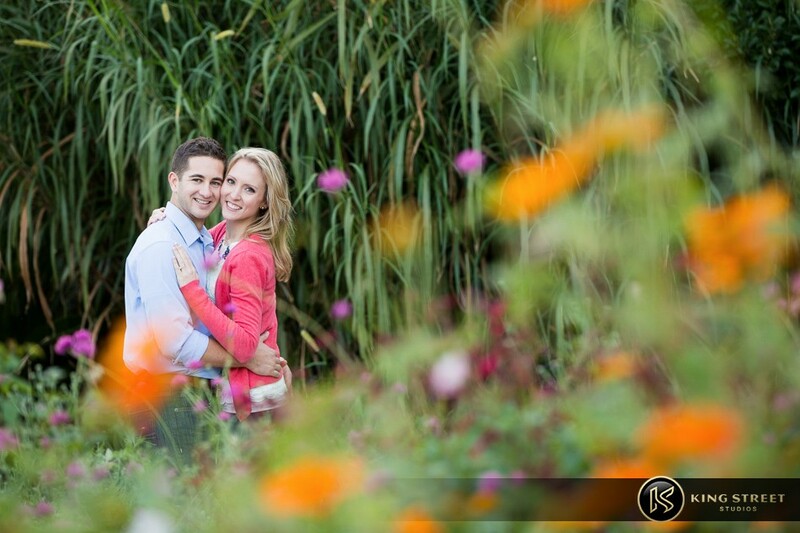 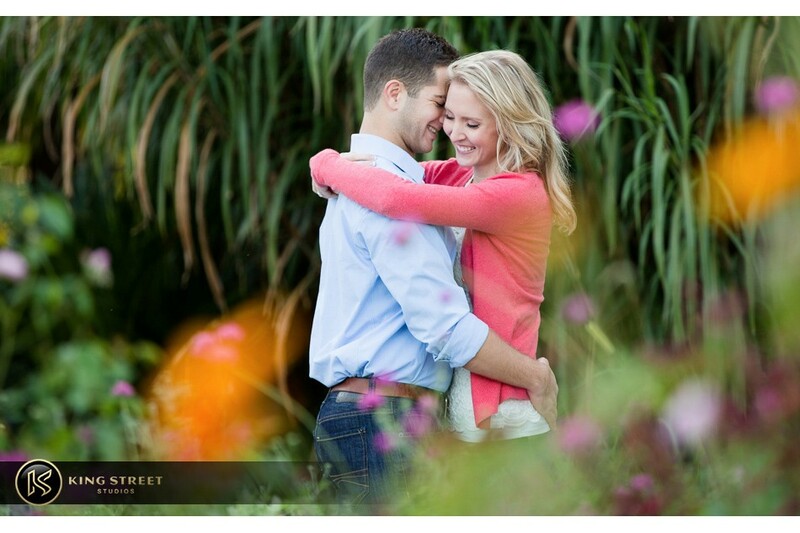 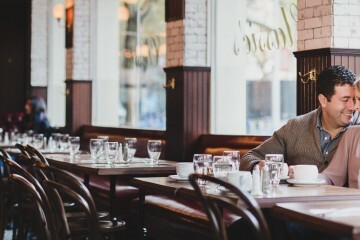 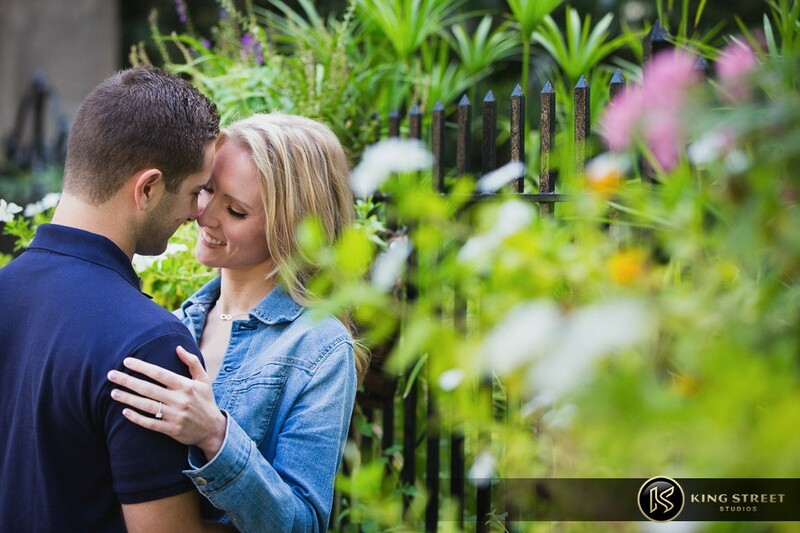 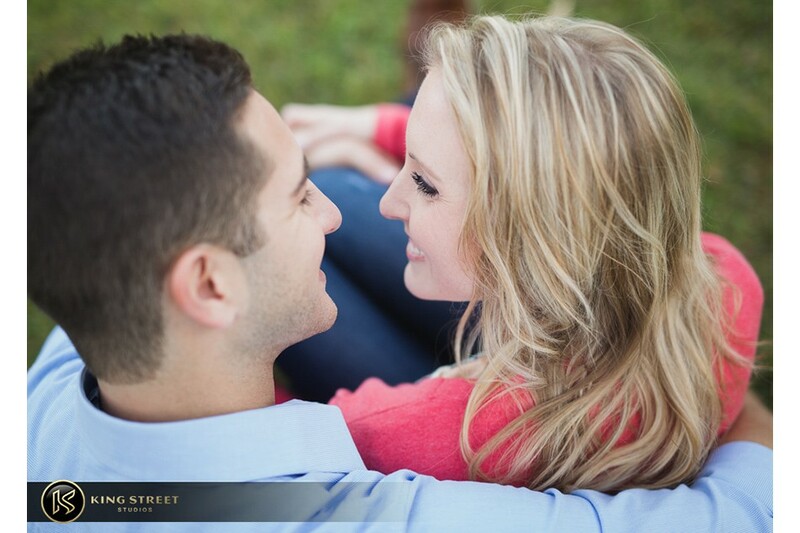 Adrienne and Ben’s engagement session was a perfect example of that scenario. 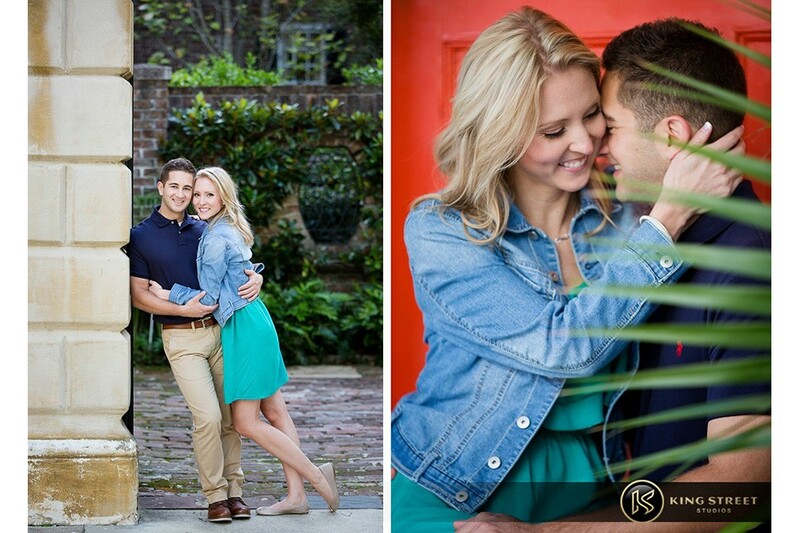 They were one of those couples who were so easy to photograph, which made the photo shoot go smoothly. 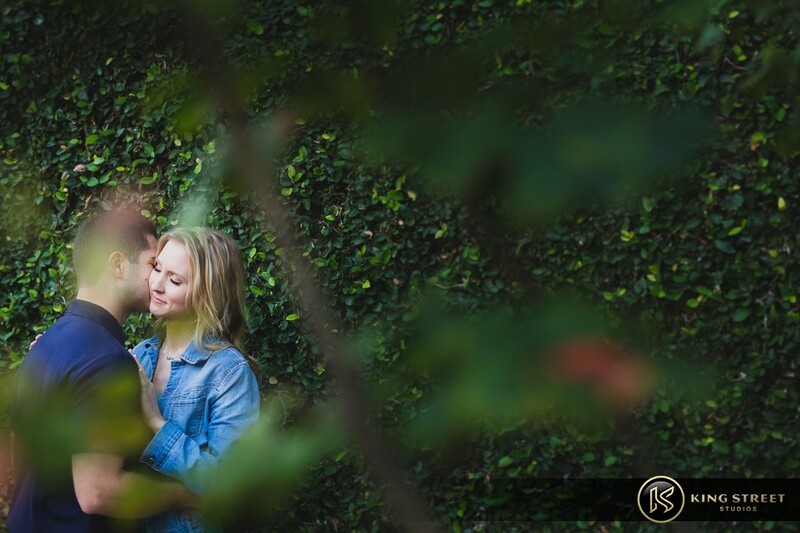 Once Adrienne and Ben saw the first couple of shots on the back of Todd’s camera, that client-photographer trust was established, and they were all ears the rest of the day. 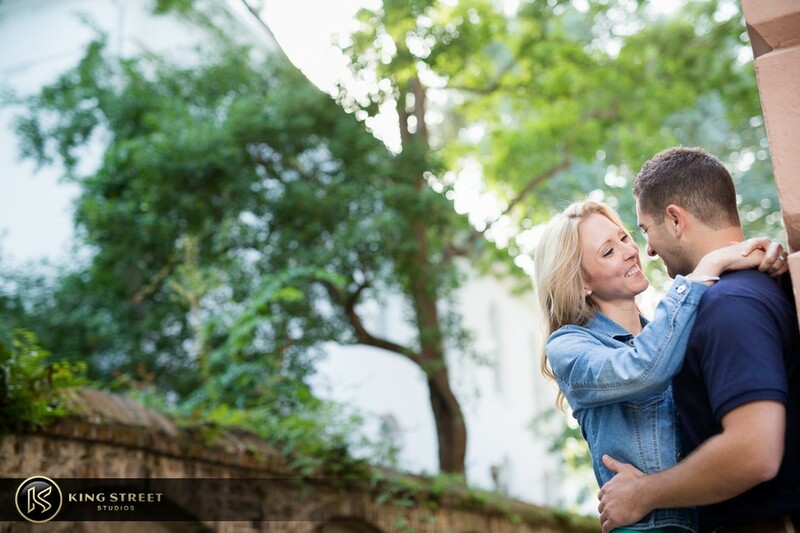 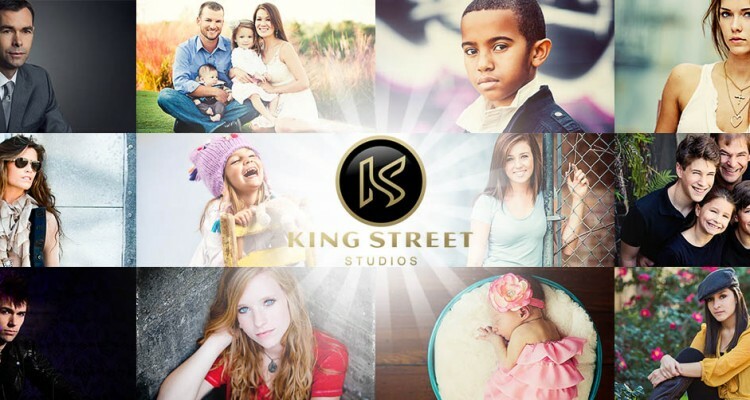 This, in turn, allowed Todd to capture so many shots of the couple at the three different locations they wanted to include in their session. 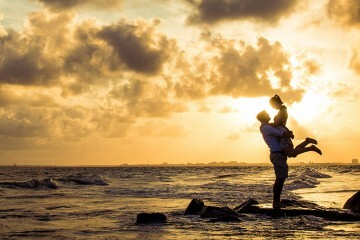 Take a look for yourselves and enjoy!